We went to Somerset for a wedding this weekend with the same ease that one might go to San Francisco from San Diego, say, or Florida from New York. 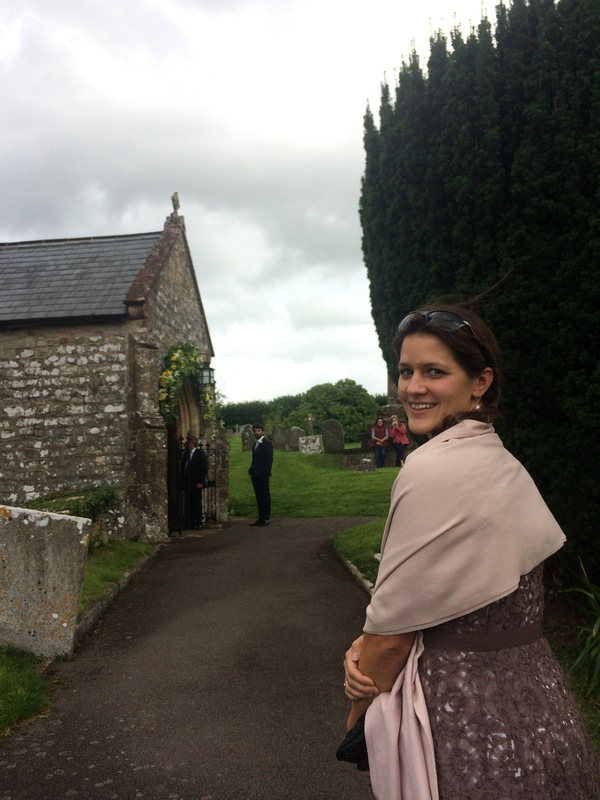 The church was founded in the 1300s, and the reception was at the family’s farm in a tiny rural village, with fruit trees and local roast beef and a shipment straight from Italy of beautiful wines, picked by the groom’s father. My besutiful, amazing date is in this photo, walking to the church. At moments like these, I just don’t know how I got so fortunate. You have created a stunningly amazing life!